Mt. Pumori Air Cargo Pvt. Ltd was established in 1990 in order to provide efficent & realiable service to its clients wishing to send the goods from Nepal to overseas by air & land/sea. Mt. Pumori handles customs clearing & freight forwarding services to any destination in the world by any preferred carrier. Mt. Pumori is associated with its sister concern company C. M. Trading Enterprises which acts as a Buying Agent of Nepaless products from different manufactures and suppliers & arrange the exports for clients. Mt. Pumori strives to surpass its clients expectations when it comes to the quality customers services. As we know our customer trust our professional capacity to handle even the most complex supply chain & needs. To whole the window, our services enhance & improve services to our customers. We have started additional Mount Pumori-Express Couries Services under one roof. 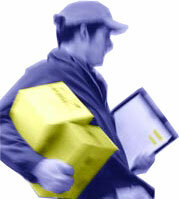 We offer the most efficient way of moving documents / cargo without any delay. We ensure a very high frequency of departure to assure quick transit time. Being one of the fast growing cargo agency in Nepal, we have built up an excellent reputation in our trade. We have over 200 customers from different parts including Europe, Asia and America. We assure all the attention and care needed for the customers export requirement. Kindly try our services which we can assure one of the best in the town. Please call us at 4700861, 4700839for further information.